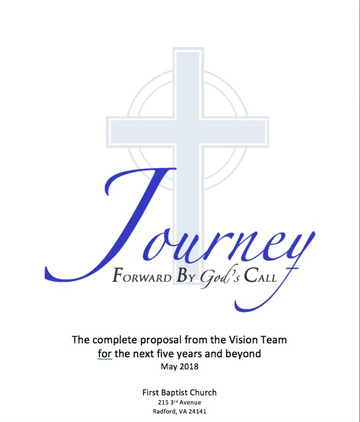 The congregation has adopted four God-Sized Dreams for our Journey Forward By God’s Call. They reflect who we are and who God is calling us to become. The congregation has discerned four God-Sized Dreams. They reflect who we are and who God is calling us to become. Throughout much of 2017 and 2018, the congregation of First Baptist Church has sought discernment of God's direction and plans for this church. Through prayer, Bible and devotional studies, congregational conversations, and interviews with numerous community officials we have listened for what God has given us as strengths and where those strengths can be used to serve God and community needs, while nurturing us further toward spiritual maturity.